The city of Paris was set for a weekend of fun and relaxation, with many going to concerts, some soccer games, a few enjoying a quiet evening at a restaurant. All were blissfully unaware that they had become the prey of demented Islamist. These crazed demonic killers, for whom spreading death is a tenet of faith, coordinated attacks across the city with a merciless barbarity that has become all to common. 127 lives snuffed out, and with nearly 200 more nursing wounds, which means the macabre count will likely rise. The murderers cried out in Arabic, “Allah Akbar,” and this is for Syria as they opened fire on strangers whose innocence was no shield. ISIS aligned demons in human form, there is little doubt about from where they have come. Just days before the Parisian Mayor welcomed Syrian refugees with open arms. French President Hollande has been at the forefront, along with the Chancellor of Germany, of the European movement to open the borders to an endless stream of refugees. They did so while ignoring the open threat from ISIS to swamp Europe with refugees mixed with terrorists. For the French people, Hollande’s closing of the borders after the attacks was a futile act that came too late for the victims. Not since King Phillip of France destroyed the Templar Knights, had their been such a Friday the 13th in France. As with Phillip’s treachery, this too was a religious act of terror that is likely to have broad sweeping ramifications. The hand of nationalist and anti-European Union crusaders has just been infinitely strengthened. When asked about her support of refugee resettlement just before the massacre, Angela Merkel proclaimed that she was fighting for “my vision.” After the attack she expressed shock, shock at what her vision had wrought. Like Chamberlain waving worthless papers declaring peace in our time, Hollande and Merkel are likely destined to be remembered for naively leading Europeans to slaughter. Now across Europe, people will wonder when and where the next attack will come. The enemy is now within, like the Trojan Horse of old, brought into their midst by their own hand. While the following days and weeks the world will see suspects rounded up, sabre rattling antics, and even increased attacks on ISIS strongholds, the present political status quo is likely not to remain for long. The truth is, experts have long warned that that among the thousands of unvetted refugees were going to be scores of terrorists. Given that 70% of those coming were young Muslim males, and ISIS had promised as much, this did not take experts to figure out. Consequently, it was never a matter of if, but when attacks would happen. The fact that it was Paris that suffered first is now a matter of record, but only a fool would conclude it is the last. While this is not to infer all of the refugees are terrorists, the vast majority are not, among them almost certainly resides numerous radicals willing to die so that others might also. Of course, even if this was not case, the present course was massive resettlement was ill conceived act of ideological blindness. Even without the terrorist component, it was cultural suicide to bring into Europe so many socially incompatible people. Given the propensity for terrorist tag-alongs the present policies were nothing less than insane. Any Western politician that thinks that the political landscape of Friday morning is the same as that they were greeted to as the sun rose on Saturday are fools. This is true in the United States as well, where illegal immigration and border security have become front and center. Here too, the resettlement of Syrian refugees in large numbers has taken place, even if the numbers pale to those in Europe. After Paris, the opposition to this policy on both continents is likely to explode. In the United States, this bodes ill for Democrats. President Obama, who forbids even the mention of Islam and terror in the same sentence, is undeniably weak on this issue. Indeed, his policies, like those of many European leaders, have made America vulnerable to internal attacks. Something that will haunt American liberal politicians for some years to come. 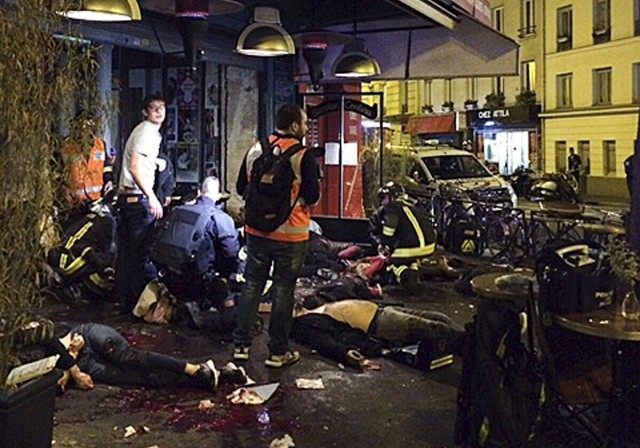 Inevitably the Paris attacks are going to have wide ranging implications for foreign and domestic policy. Contentious political sparing and massive protests, already sweeping across Europe, are likely to become worse. In America, calls to secure borders and slow the influx of Syrian refugees will grow louder. In short, if the deaths of those slaughtered by the devil’s kin are to have any meaning, maybe it will be found in the rolling back of the idiotic idealist policies of Western elitist.